This Monday was International Day of Friendship. 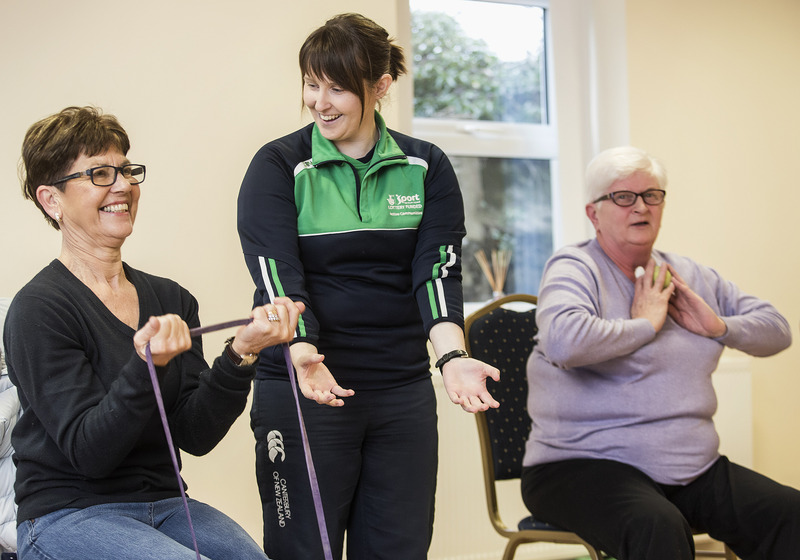 To mark the occasion, we’re looking back on some of the brilliant groups in Northern Ireland who are using money raised by National Lottery players to build relationships, tackle isolation, and nourish friendships between all types of people. Roberta Dallas, 65, was a single mum with health problems who became increasingly isolated after her son left home. 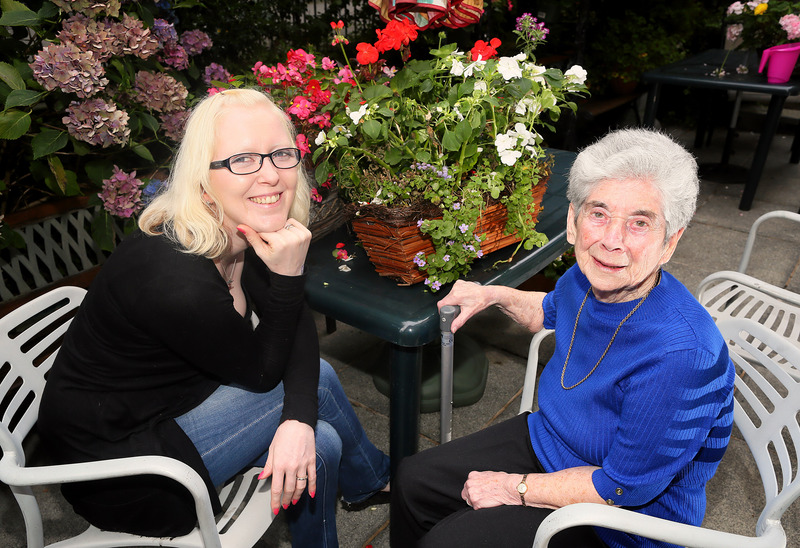 But she was given a new lease of life through her involvement with the Mid Ulster Volunteer Centre’s Carefully Yours programme. Roberta worked as a teacher in Magherafelt and raised her son, Robert, with only the support of her beloved dad. Roberta’s father sadly died when Robert was in lower sixth, and when Robert moved to England for university the following year Roberta found herself increasingly isolated. But it was only when she retired that she felt truly lonely. That was until a Carefully Yours project worker from the Mid Ulster Volunteer Centre invited Roberta along to their crochet group. From that point on Roberta didn’t look back. She joined a variety of classes and groups including the drop in centre where she joined people with learning disabilities. The Carefully Yours project has made a profound and powerful difference to Roberta’s life thanks to the generosity of National Lottery players. Like Roberta, Harriet Mills struggled with isolation and loneliness – but found refuge and friendship in Newington Day Centre. Newington Day Centre uses money raised by National Lottery players to help older people remain in their own homes, and is using the funding to reach more isolated older people and offer activities to get them involved in their community. Sadly Harriet’s beloved husband Eddie died in October 2014, but she has is still involved with Newington. Margaret McCrudden, Centre Manager, summed up Newington Day Centre: ““An overall community effect is what I think care in the community is all about. It’s about people helping each other. Loneliness can become a vicious circle. All our activities brighten their mood and make life easier, even for the carers at home. North Belfast Men’s Shed was started back in 2012 as a way to bring older men together and tackle social isolation. Using money raised by National Lottery players, the project supports older men to get involved in community activities and take up volunteering. The project is led by its participants. 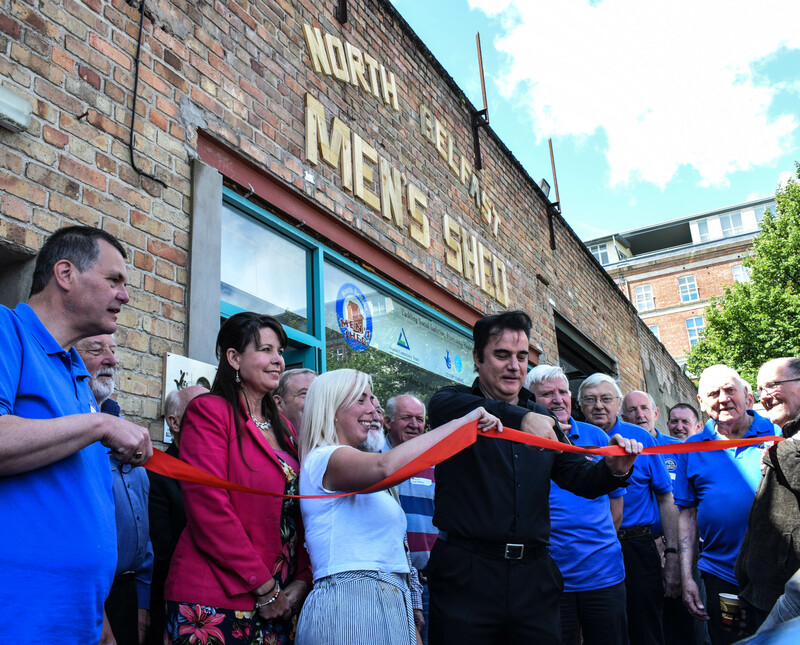 A team of over 50 men are involved in the day-to-day running of the Shed on a volunteer basis and other men volunteer to share their skills and welcome new members. Older men can sometimes struggle to get involved in their local community, and are often less likely to volunteer than other demographics. North Belfast Men’s Shed challenges that trend by helping men to volunteer in other organisations as well as their own. For example, Shed members have volunteered their time to make squirrel boxes for the Ulster Wildlife Foundation; bird boxes for Belfast Hills Partnership; buddy benches for local schools; delivered craft classes to members of Newington Day Centre; and made around 200 lanterns for PIPS charity World Suicide Awareness Day. As well as bringing the men’s skills and expertise to the wider community, North Belfast Men’s Shed also plays a big part in helping the men make new friends and combatting isolation and loneliness. These groups – and so many others – demonstrate the profound impact that friendship can have. With a strong network of friends, people are better able to cope with difficult times in their lives. With the support of money raised by National Lottery players, groups like Belfast Men’s Shed, Newington Day Centre and Mid-Ulster Volunteer Centre are able bring people together to build deep and meaningful relationships, increasing resilience, and improving quality of life for everyone involved.